In Canberra sweet peas need to be planted around my birthday, mid-March. My father-in-law was an enthusiastic gardener and he always reminded me to plant them. Sweet peas also remind me of my Mum who loved all flowers and growing things, but sweet peas were one of her favourites. During the summer I read a little book called ”Six Square Metres” by Margaret Simons. 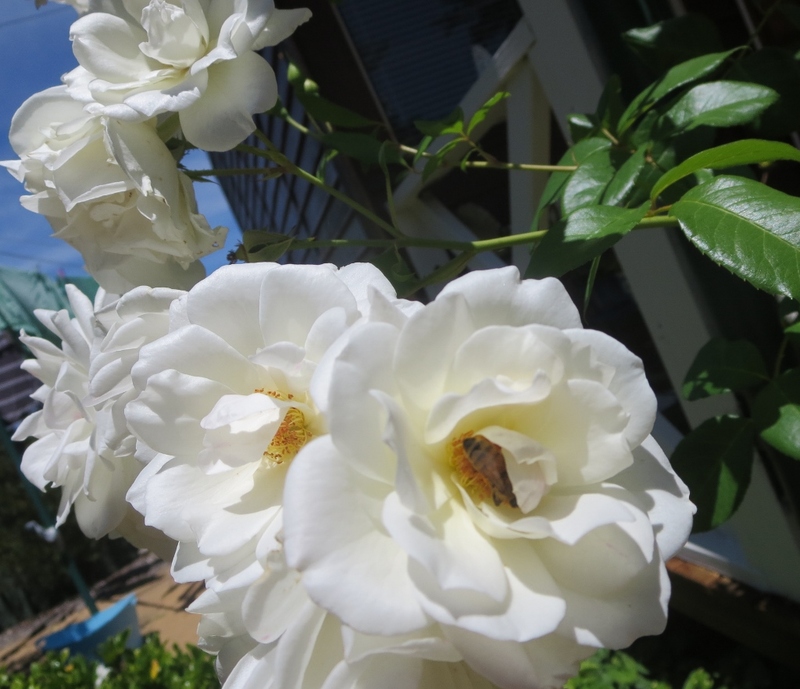 Margaret is a journalist and gardening enthusiast, and some years ago, she wrote a thoughtful, often humorous, gardening column in The Australian newspaper. Sometimes you reap what other people sowed..
We bought this tomato as a sapling at the markets in spring. 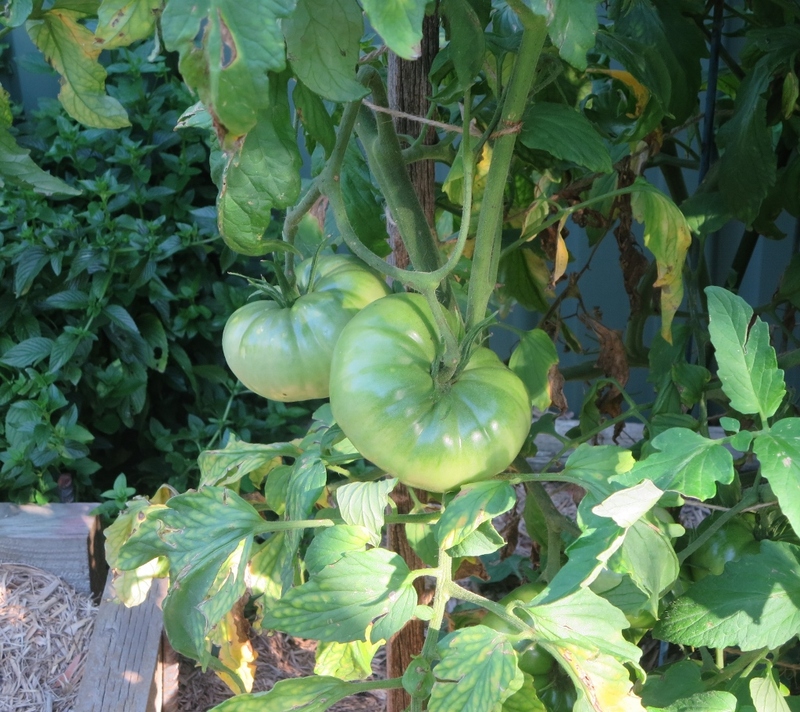 It is called ”Mortgage Lifter” and the tomatoes grow to an enormous size. Every few weeks Paul and I would put more stakes in for reinforcement as the plant grew bigger and the tomatoes grew wider. The beauty of this tomato is that it is very juicy, with a wonderfully rich flavour. I made tomato puree with the left over tomatoes in February, and now we add them to soups and stews. A taste from our own summer garden in winter. Sometimes you haven’t got a clue what you are sowing. 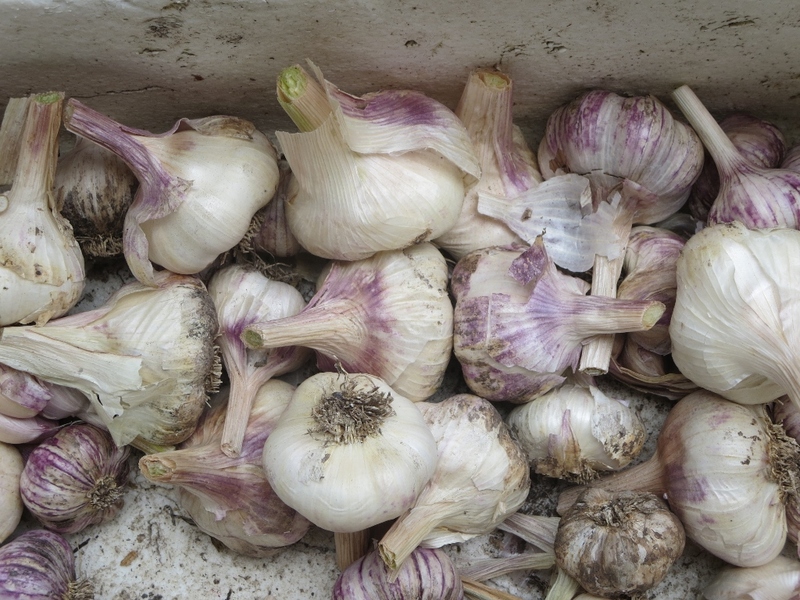 ….at the markets in spring I thought I was buying a new kind of chard with lovely purple stalks…and it was beetroot! I can’t believe I’m admitting to this…. 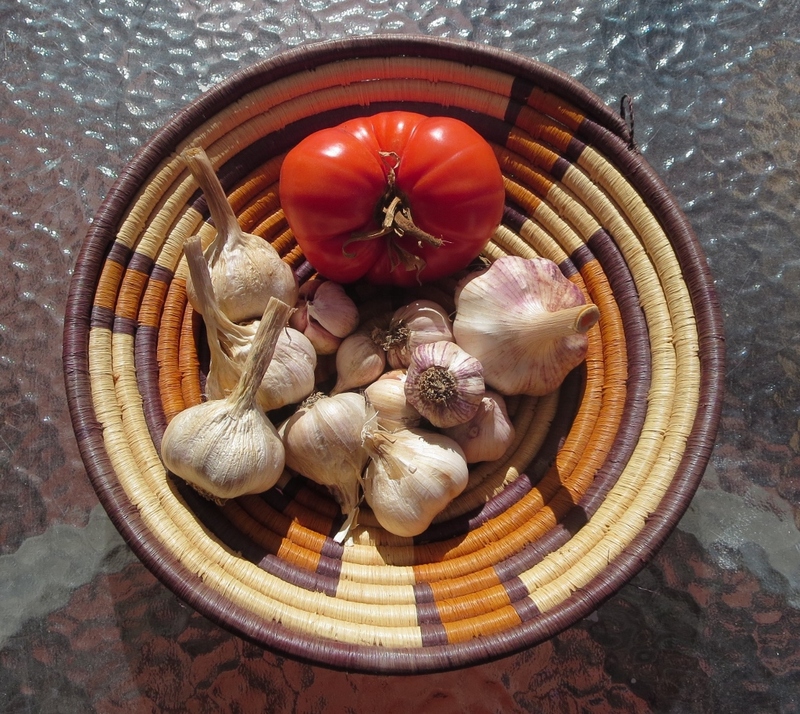 We were very lucky to have an abundance of tomatoes, and the best garlic in three years of trying to get it right.. 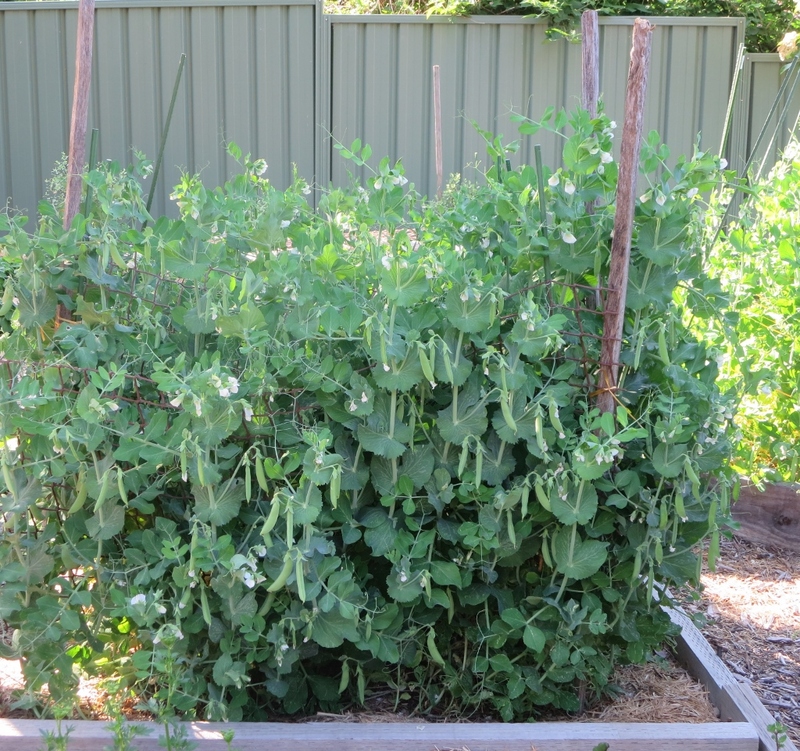 This entry was posted in Canberra's Suburban Gardens, My Place and tagged beetroot, cockatoo, Cosmos, Gardinia, garlic, geranium, Liliums, Margaret Simons, peas, summer Canberra, sweet peas, tomatoes on July 24, 2016 by germac4. Thanks Judy, the first thing I did with those sweet peas was to fill small vases with them! Their perfume is just lovely! Lovely garden photos, Gerrie. 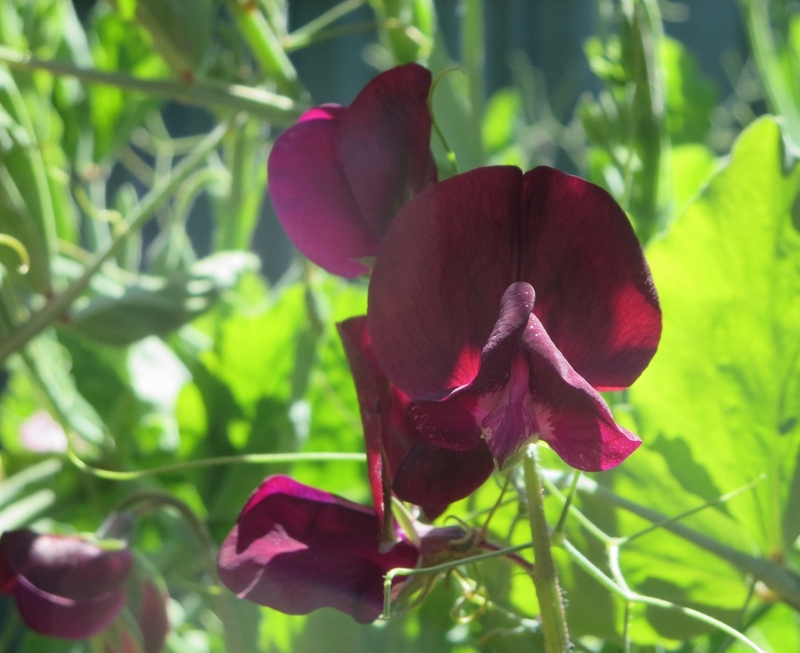 My dad always had sweet peas in his garden in England. I love the scent of them. Your rose-pecking Cockatoo looks quite unrepentant, but the bush still has many blooms. 🙂 I love Gardenias but have never had much luck with them. The buds always fall off, so I must be doing something wrong. 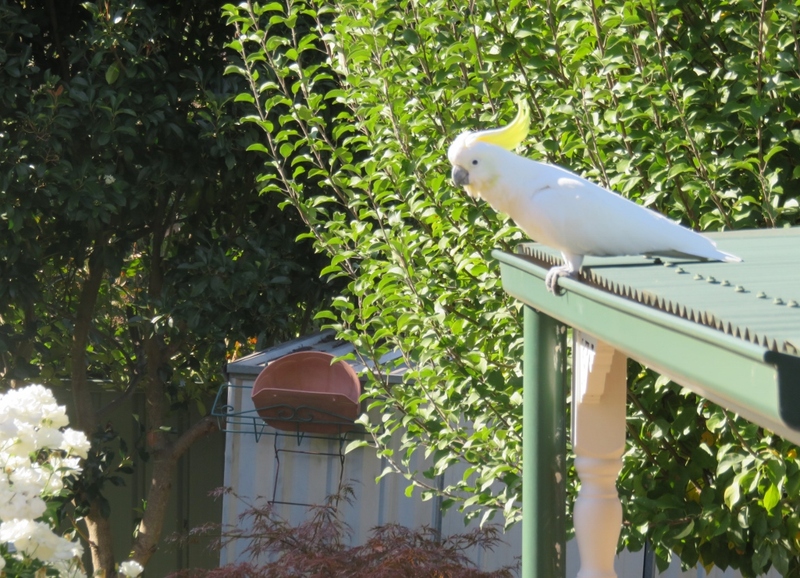 Perhaps we could send our unrepentant cockatoo over to your place, I wonder what he would make of all your wild life…he’d have to mind his manners! Yes, Gardenias are tricky to grow, but I’m putting more sweet peas in this year. Very envious of your gardenia. I would love to be able to grow one outside. The scent is gorgeous but sometimes overpowering in the house. Yes, I agree.The scent of gardenia is even too strong in a vase after a while. We do put the gardenia under cover in winter. Really, it would love to live in Sydney……perfect outside conditions! I love to look at spring flowers in the middle of winter. 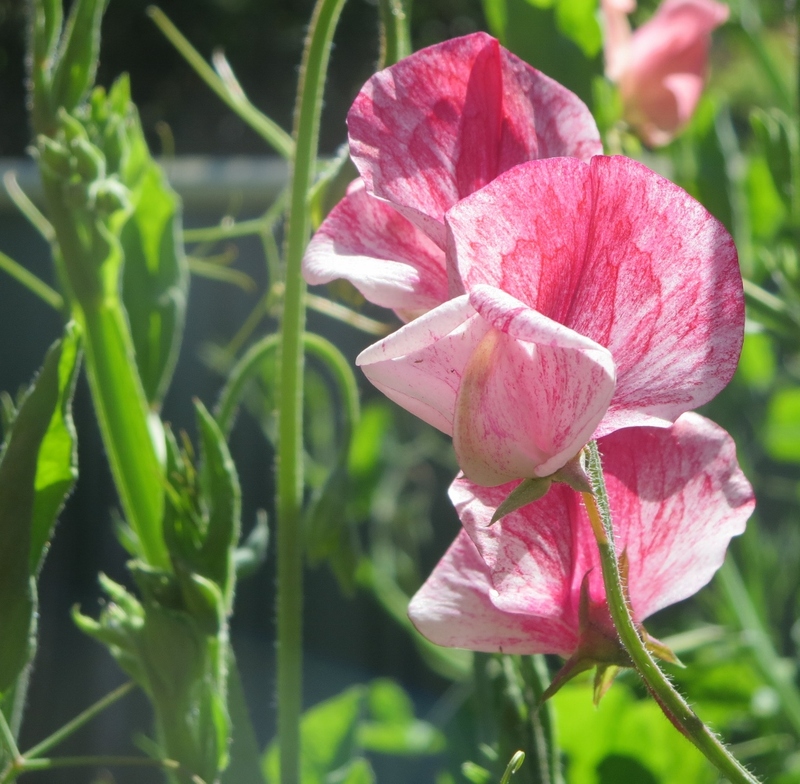 Those sweet peas are wonderful, I have never had success with them. Yes, I felt quite cheery after writing that spring/summer post! Sweet peas do take up a lot of room for the result, but I’m hooked now! Thanks Dina, it was nice to look over summer photos on a dreary day! I’m glad the post could warm you up, yes, we have had a cold and rainy winter altogether….cross fingers for a good spring! What a lovely post! 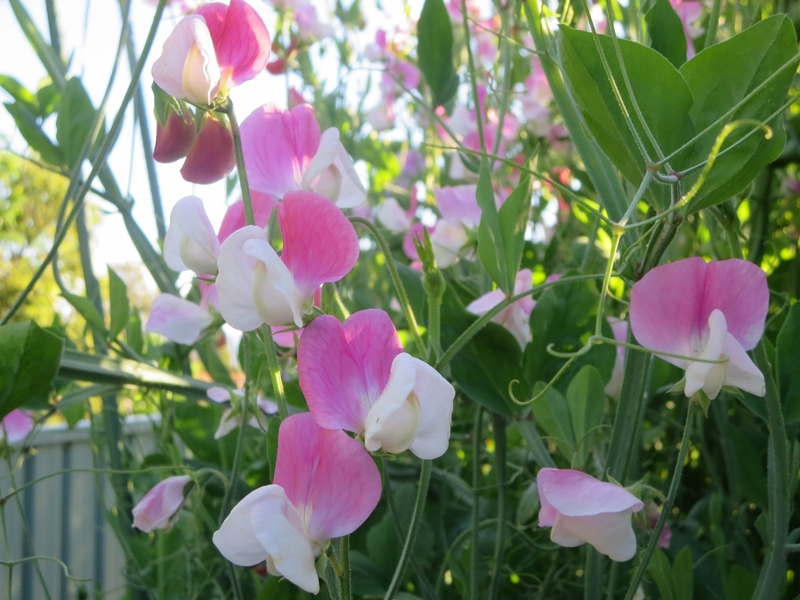 I adore sweet peas and all your edibles make me want to get into it again. I hope your next season is as successful as your last! Thanks Janna… I’m looking forward to summer..
but you can, eat beet greens too? ?